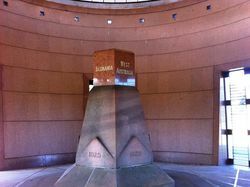 The Federation Pavilion and Commonwealth Stone is significant as the site of the official ceremony on 1 January 1901 to mark the Federation of the Australian colonies and the inauguration of the Commonwealth of Australia. 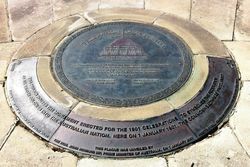 On 1 January 1901, Centennial Park was the site of the official ceremony to mark the Federation of the Australian colonies and the inauguration of the Commonwealth of Australia. The ceremony was accompanied by much pomp and was attended by a vast crowd of estimated at 250 000. 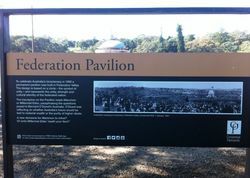 At a special pavilion erected in the park, Lord Hopetoun and Edmund Barton were sworn in respectively as the first Governor-General and the first Prime Minister of the new Australian nation. At the same time, the first Federal cabinet was sworn in. The oaths of office were administered by the Lieutenant-Govemor and Chief Justice of New South Wales, Sir Frederick Darley. 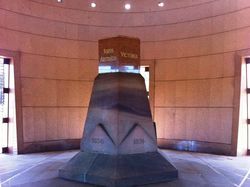 The Commonwealth Stone 1901, was the site of the official ceremony and in 1904 was embedded in the ground as a permanent memorial to mark the exact spot where the Commonwealth came into being. The plaster pavilion deteriorated rapidly and was removed from the Park in 1903. In 1904 the Commonwealth Stone which had been housed in the pavilion was placed on a sandstone pedestal surrounded by an iron picket fence. 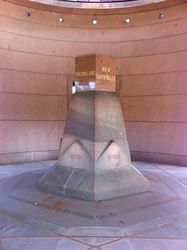 It remained there until the new Federation Pavilion was opened as part of Australia’s bicentennial celebrations in 1988. 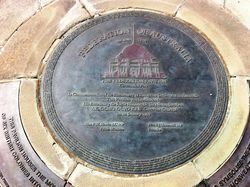 The Federation Pavilion, 1988 was erected around the Commonwealth Stone as a permanent monument to Federation on the Bicentennial Year of European Settlement. 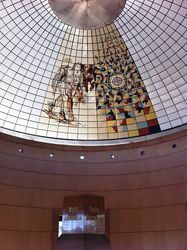 The Pavilion is circular, representing unity, strength and a united cultural identity of the federated nation. 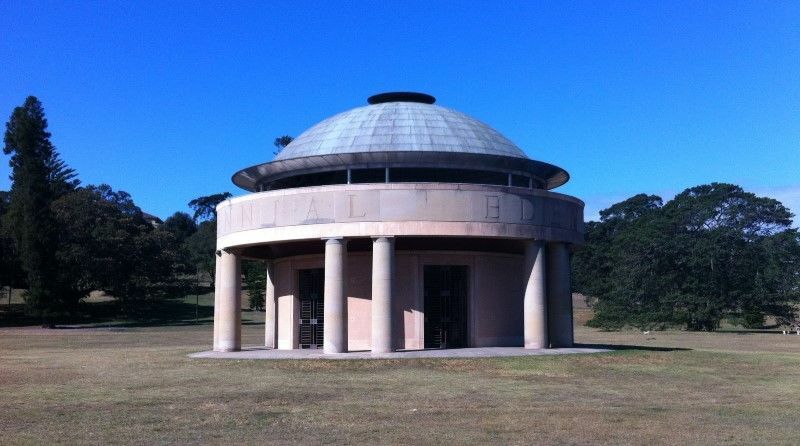 This Pavilion houses the monument erected for the 1901 celebrations to symbolise the Federation of six British colonies into the Australian nation. Here on 1 January 1901, the Commonwealth was proclaimed.